“The Senate’s recent overuse of the filibuster,” says newly elected independent senator Angus King, “has stalled progress on practically every issue of importance in America. The 60-vote requirement that it creates is not in the Constitution.” Reforming the filibuster was one of his signature campaign issues, and Harry Reid said this summer that he agreed. 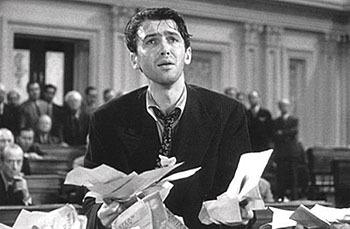 He’s committed himself to filibuster reform when the new Senate term opens in January. afraid of what the governing party can do without it. And the governing party doesn’t want reform because it’s afraid of what the opposition party will do if they win control in the next election. But guess what? We’re in a bit of an unusual situation right now. The Democratic Party has a president in the White House, which means that Republicans won’t be able to run roughshod over them for at least four years—and the odds are at least decent that it might be longer. Likewise, the Republican Party has a big majority in the House, which means that Democrats can’t run roughshod over them. And this majority looks to be durable for at least four years too. So filibuster reform would have a very small effect right now, mainly making it easier for the majority to confirm presidential nominations. Obviously Republicans wouldn’t be too happy about that, but they can’t keep obstructing judicial nominations at their previous pace for four more years anyway, so it’s not the biggest deal in the world. If Democrats were willing to agree to serious but moderate reforms, there’s a chance they could actually get Republicans to go along with it. Not a big chance, but a chance. We live in interesting times.